So happy to finally share some more pics from my Marrakech trip with you. It's the second time I visited this city and I was even more mesmerized than the first time. This time I had a mission. Trying to stay at Riad Be Marrakech. Last year my BFF and I had lunch here and we instantly fell in love. The colors, the amazing food and yes that famous swimming pool. So I knew if I ever was to return to Marrakech I wanted to stay here. 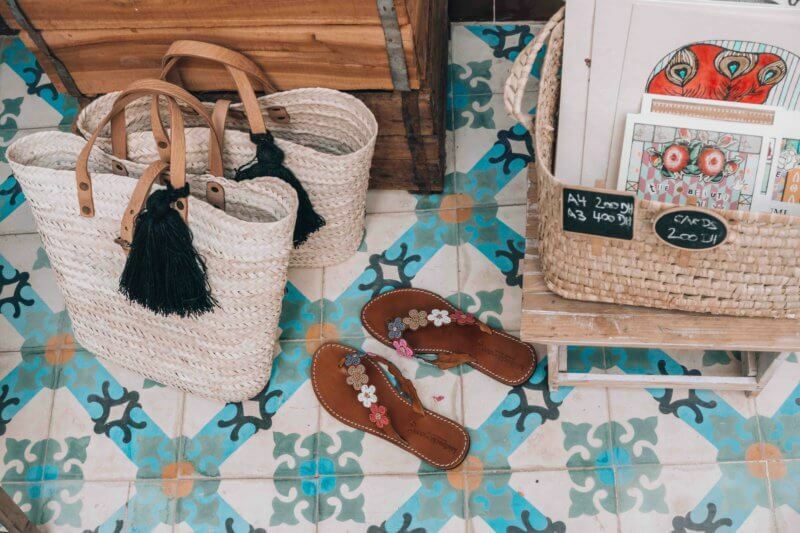 The best and most beautiful Riad in Marrakech ever! You have probably seen me post a million of pics on my Instagram already and I assure you, it's as beautiful as it looks in the pics. The lovely owners, Nicole from Switzerland and Morrocan Mo have created a little dream in the middle of the Medina. 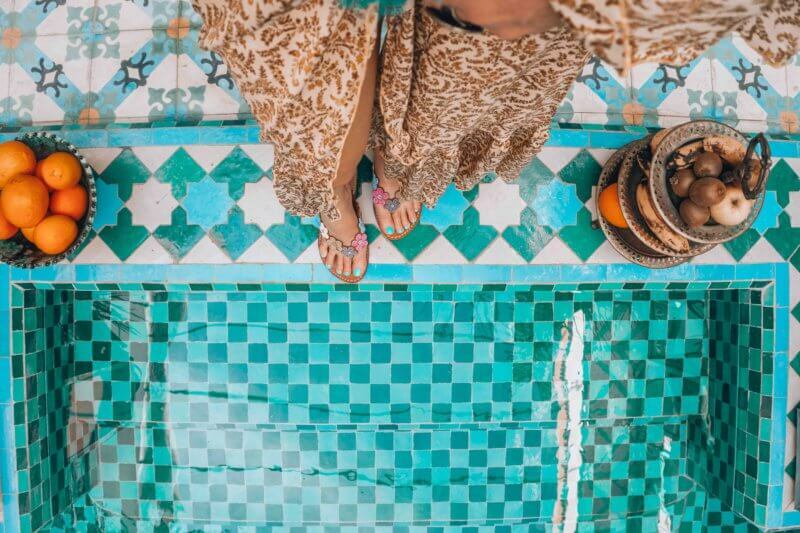 With restoring this Riad they have preserved its authenticity and beauty as much as possible making you feel like you stepped into a Morrocan fairytale. And even more important, they make you feel at home. This year they added a new and connecting Raid right next door adding 4 more rooms to stay in. Later this year they also hope to finish the hammam so you can relax after an exhausting day of shopping and wander in the souks. With the addition of the new Riad, the rooftop has doubled in size! The perfect place for an early breakfast or just to enjoy the view and serenity of Marrakech from above with some mint tea. If you are planning to visit Marrakech this is really the number one place to stay. But be quick! The rooms are usually well sold out in advance so do plan ahead! Have you been to Marrakech already? Drop me a note and let me know what you loved about the city and where you stayed! Hi – many years ago my husband and I stayed at a lovely place called Kasbah Agafay, overlooking the Atlas Mountains. It was stunningly beautiful and I remember doing an outdoor cookery lesson with a lovely elderly lady. She showed us how to cook a chicken tagine and we picked ingredients from the kitchen garden. We sat by the pool and ate our creations. For the second half of our holiday we stayed at La Mamounia but, although we loved being in the centre of Marrakesh, the large hotel was no comparison to the Kasbah. I would love to go back. These photos are amazing! This place is amazing! It’s definitely my dream place to stay when I go in the future, as I have never been. But this is exactly what I had envisioned in my mind of what I would love to be surrounded by in Morocco. I’m in love with this place!! !